Lila Abu-Lughod, Joseph L. Buttenwieser Professor of Social Science, Columbia University and director of CSSD’s working group on Religion and the Global Framing of Gender Violence, reviewed Katherine Zoepf’s Excellent Daughters: The Secret Lives of Young Women Who Are Transforming the Arab World in the latest issue of the Women’s Review of Books. 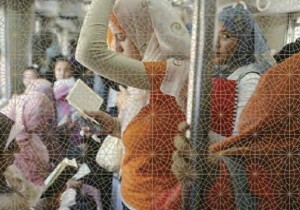 In the review titled “‘Muslimwomen,’ Journalists and Scholars,” Abu-Lughod credits Zoepf with concrete observations in her journalistic stories, saying “She shows not a trace of the self-promotion, polemic, or prejudice that colors so much popular writing on this subject,” but finds other problems with the writing. Zoepf makes no reference to the devastating effect that U.S. policies have had on people living in the Arab world, Abu-Lughod contends, but instead focuses on sensationalizing, cliched subjects like virginity examinations, medieval history, and the hijab.